Com chegada a 31 de Maio e partida a 10 de Junho de 2012, Lisboa está no palco mundial como a principal cidade e única capital europeia do evento, assumindo como ambição, a organização do melhor stopover de sempre, beneficiando, ainda que de uma forma totalmente informal e não desportiva, de ver completada na nossa capital a travessia mundial. O espaço do evento Lisboa Stopover Volvo Ocean Race 2011-2012 terá o nome de Race Village e será constituído por duas áreas distintas que irão perfazer um total mínimo de 20.000m2. 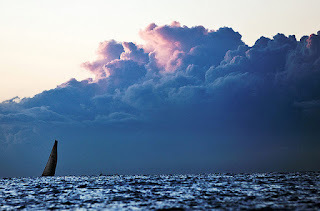 Fundada em 1973 como Whitbread Round The World Race, a Volvo Ocean Race é hoje a maior regata do mundo e o mais desafiante evento desportivo à escala global, que combina a competição desportiva com aventura a bordo, surgindo como uma mistura de glamour das regatas onshore com o drama e a resistência das travessias offshore. Com origem nas travessias entre portos, a Volvo Ocean Race é hoje uma combinação única de regatas onshore e offshore de nível mundial, aliando a espectacularidade da alta competição nos locais de paragem com a resistência e drama das travessias oceânicas. Com 36 anos de história e na sua 11ª edição o evento atrai naturalmente os melhores velejadores do mundo. Baseando-se no enorme sucesso das regatas onshore da edição de 2008-09, em 2011-12 a Volvo Ocean Race voltará a trazer a performance espectacular dos Volvo Open 70 para perto de terra, num formato onde todas as regatas nos diversos portos pontuarão para 20 por cento do resultado final. A Volvo Ocean Race é simultaneamente um evento mediático e geograficamente global, sendo por isso portadora de um legado de estreita relação com a viagem, o mar e os povos. É o expoente máximo do esforço humano, assente no lema: ‘Life at the extreme’. With the boats arrival on May 31st and the departure on the June 10th, 2012, Lisbon will be on the world stage as the main and only European capital city of the Volvo Ocean Race, with the ambition of becoming the best ever Stopover in the history of the competition, benefiting at the same time, but from a totally informal and non-competitive way, from the fact of seeing the world crossover culminating in Lisbon. 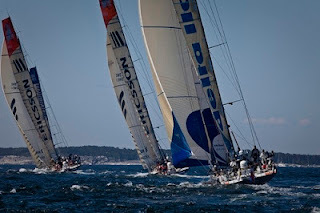 The event area in the Lisbon Stopover Volvo Ocean Race 2011-2012 is to be named the Race Village and will consist of two distinct areas that will have a minimum total of 20.000 squared meters. Founded in 1973 as Whitbread Round The World Race, Volvo Ocean Race is today the largest regatta in the world and the most challenging sporting event on a global scale, which combines the sporting competition with adventure on board, emerging as a mixture of glamour of onshore regattas with the drama and the resistance of offshore crossings. With origin in voyages between ports, Volvo Ocean Race is today a unique combination of regattas onshore and offshore worldwide, combining the magnificent show sport in stopping venues with resistance and drama of ocean crossings. 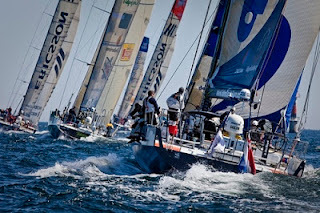 Sailing more than 37,000 nautical miles divided in nine stages, over nine months (2011-2012), the race crosses the most difficult and demanding seas, visiting 10 ports throughout the world, integrating 10 coastal regattas and also 10 Pro-Am regattas. 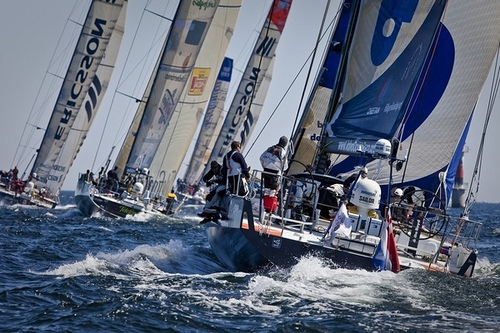 With 36 years of history and going for its 11th edition, the event naturally gathers the best world sailors, which in perfect harmony with the latest technologies, navigate the globe at speeds never seen before in the sport. 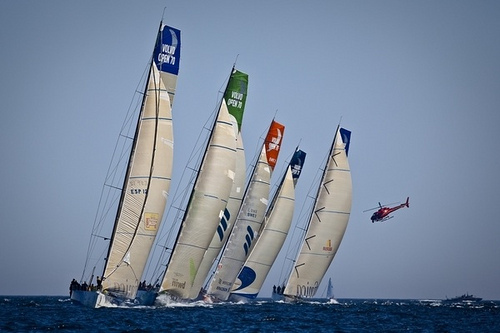 Taking into account the enormous success of onshore regattas of the 2008-09 edition, the Volvo Ocean Race 2011-2012 will bring the spectacular performances of Volvo Open 70 near land, in a format where all regattas in the various ports will count for 20 per cent of the final score - turning the event into a big show for all the public, sponsors and media involved. 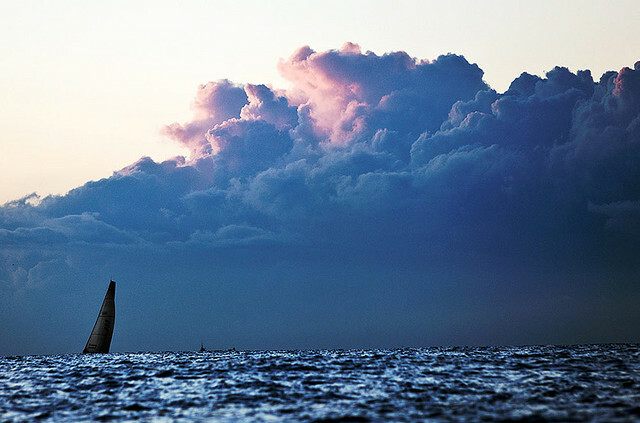 The Volvo Ocean Race is simultaneously a media event and geographically global, so therefore brings a legacy of close relationship within the journey, the sea and the populations. It is undoubtedly the greatest exponent of human endeavor, on the motto: ‘Life at the extreme’.